Apple today seeded the first beta of an upcoming iOS 11.4.1 update to developers, one day after releasing iOS 11.4, an update that introduced AirPlay 2 and Messages in iCloud. Registered developers can download the new iOS 11.4.1 beta from Apple's Developer Center or over-the-air once the proper configuration profile has been installed from the Developer Center. 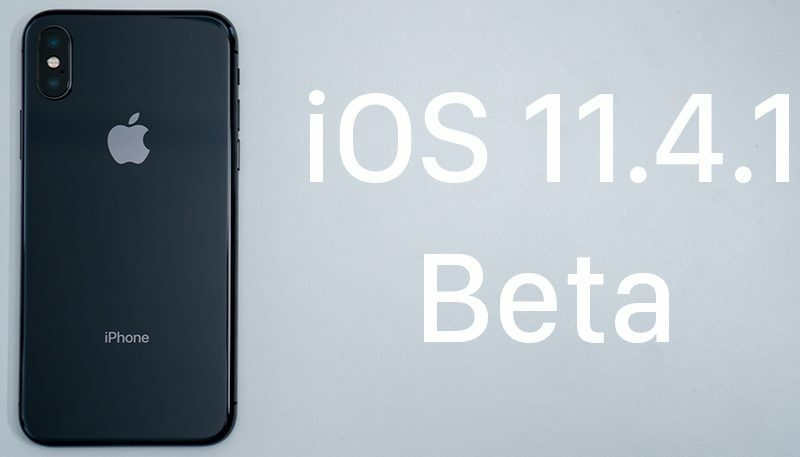 We don't know what new features are included in the iOS 11.4.1 beta, but it is likely to focus on bug fixes and performance improvements to address issues discovered since the release of iOS 11.4. Apple's work on iOS 11 is wrapping up, as iOS 12 is set to be released to developers next week following the keynote event of the 2018 Worldwide Developers Conference. There will always be bugs, and releases will still need to happen, so at some point some fixes or changes have to be put off to the next release. There will always be bugs, and releases will still need to happen, so at some point some fixes or changes have to put off for the next release. Anyone who doesn't understand that (which there are already some in this thread) is completely ignorant to how program works at every company in the world. Apparently some would rather have any bug found in 11.4 left there until iOS 12 is released in September. Somehow I think they'd cry a lot more if that was the case. "We don't know what new features are included in the iOS 11.4.1 beta, but it is likely to focus on bug fixes and performance improvements to address issues discovered since the release of iOS 11.4." I noticed today that my iPad in presentation mode—using Apple Keynote—with Do Not Disturb turned on was still showing messagings and calendar notifications. I was presenting on my ipad when this happened, and thankfully nothing personal or NSFW’ish came up or it could have cost me my job. I work in tech, so I understand there are always bugs. But I’m getting sick and tired of Apple’s shoddy software quality. Enough is enough. How far behind does Apple have to fall with software, how bad does quality have to get, and how late do features have to be, before Tim does something? I'm kind of (selfishly) hoping Apple might release Apple Pay/Apple Pay Cash to more countries with the last update before iOS 12. Didn’t expect to see this. That’s said I’ll be holding off for the iOS 12 beta instead. I’m pretty sure that do not disturb and do not disturb while driving only apply when the device is locked - or that’s certainly my experience. If the phone is unlocked it seems it is deemed that you are actively using it and therefore will want to see notification alerts even with dnd enabled. This is especially irritating when driving with a navigation app as the phone has to be unlocked in that scenario so notifications alerts still show and some - calendar ones especially- don’t always auto clear and need to be swiped up manually to get rid of them. "If the iPhone is Locked"
Rough translation from pt-br :p.. In my case, the second option is selected.